We should be in the height of summer but we could be fooled into thinking that this is an autumn report, perhaps we will have a summer yet! Housing developments seem to be dominating village life at the moment. The Salt Box is very nearly finished and is 100% sold with over 50% occupied already. I hope you agree that it is looking quite smart and a much more fitting entrance to the village. I would like to add that the developers have been extremely helpful in a number of issues that they had no obligation to assist us in and I would like to take this opportunity to thank them as they will soon be finished. Our monthly meeting of 11th July was particularly well attended by villagers looking for advice on the proposed development of 21 houses at the back of Castle Road which seeks vehicular access through The Glebe. 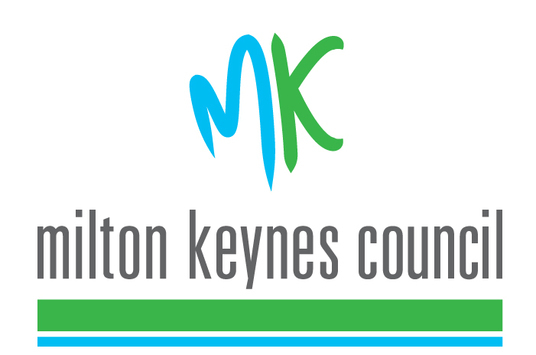 Our Ward Councillors Peter Geary and Keith Mclean were available to give extremely helpful and practical advice with a further public meeting being held in the village hall with presentations from Milton Keynes Council highways and planning departments. Please see our website www.lavendonpc.org for updates and a direct link to the planning section on the Milton Keynes Council website planning application details. Our new facebook page, kindly set up by one of our councillors Steve Axtell, will also have news and updates on this and other subjects. There is currently no further news concerning the proposed development at the Stone Yard. The new planters at the 4 entrances to the village have been installed and planted up by our ever hard-working community payback team with a lovely variety of flowers and shrubs. These were purchased with a grant that was awarded to us by our Ward Councillors, so a massive thank you to them. We were let down by the grass cutting contractors with no notice whatsoever, which was rather disappointing, particularly at such a high growth period in the season but luckily a new contractor has stepped in to save the day until the end of this season. This has prompted us to research into the possibility of purchasing our own mowing equipment and employing a part time grounds person to help keep the village as neat and tidy as we would all like, particularly as Milton Keynes Council street cleansing team will only visit us once every 8 weeks as opposed to the 4 weekly that we have been used to. Bird boxes have now been put up in the copse so hopefully there will be more opportunity for everyone, especially the Lavendon Combined School children who use the copse for their forest school, to enjoy a bit of bird watching in the Spring. The drainage problems at the entrance to the cemetery have now been addressed, so hopefully we won’t need to wade through the puddle to get in. Although, the torrential downpours we’ve been experiencing lately are enough to challenge most drainage systems. The updated flood alleviation developments for the village will be presented to us in our September meeting. The allotments will shortly be fully occupied which will help decrease the maintenance needed. Sadly, this awful wet weather hasn’t helped the gardeners but I understand that one good thing is the rhubarb has done well this year. 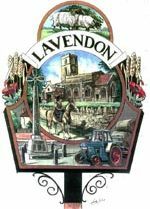 The Lavendon Village Hall refurbishments are looking impressive, congratulations to all who have been involved in the huge works undertaken there. The grand reopening ceremony and celebrations were well attended and the choral concert evening held on the same day was a wonderful success, showing how the hall is becoming a lovely venue and asset to our community. 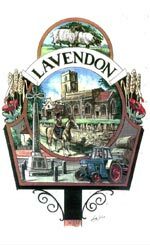 Lavendon Parish Council have been looking for three new councillors to bring us to the full quota of eight required; good news, we have three residents who are interested and I hope to be able to reveal their names in my next report. Thank you to them for considering the position, I’m sure they will find it interesting, sometimes challenging but always rewarding. Finally, just a reminder that we have no council meeting in August, the next being 12th September at 7.30pm and we welcome your input into your village.